Security management refers to a management field which is somewhat related to physical security, human resource safety functions and asset management. You can expect this field to encompass the process of identifying information assets of an organization as well as the process of implementing, documenting and developing standards, guidelines, procedures and policies. In the field of network management, you can expect security management to refer to a set of functions which works in protecting telecommunications systems and networks from those who may access it without any authority. You can expect it to encompass techniques that work in preventing any acts and attempts that negatively influence the sub-functions of networks and systems including the control, deletion and creation of security mechanisms and services. It also works in ensuring that vital functions such as reporting events relevant to security, distributing information relevant to security, authorizing subscriber rights, privileges and access and controlling the process of distributing cryptographic keying materials are well-protected and implemented. In the field of security management, you should know that there are a few management tools that are primarily used in identifying threats, rating system vulnerabilities and classifying assets with an aim of implementing the most effective control. These management tools include risk analysis and assessment and information classification. Security management also requires you to obtain a more comprehensive understanding about risks including external risks and internal risks. Once you are aware of these risks, you will have an easier time implementing security management techniques that work in effectively preventing them. Enrolling in the security management certification program which is now offered by a well-recognized online certification company named Brainmeasures is the wisest moves that you can ever make if you are planning to become one of the most renowned experts in the security management field. Deciding to enroll in the security management course offered by this company is a wise move considering its ability to provide you with the most comprehensive and accurate information about this specific field. By enrolling in this certification course, you will get the chance to learn more about security management, its scope and major functions, the different types of security management techniques that you can use, the different types of risks and the many things that you can do to instantly detect these risks and manage them. By earning a security management certificate, you will find it easier to impress your potential employers and easily get your desired position in this industry. How to effectively meet the security needs of your organization? 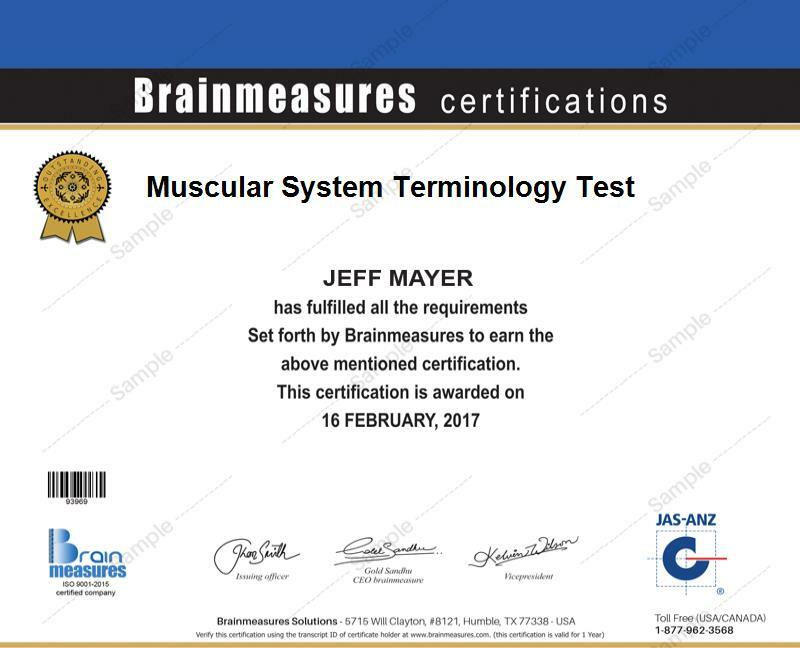 The security management certification program which you can now conveniently access in Brainmeasures is proven to be really beneficial to a lot of people. You can expect it to work effectively for all aspiring and existing corporate or government security directors, information security managers, personnel security administrators, security specialists and any other professionals who are in charge in improving the level of security within a business organization. Your security management certification is also proven to be beneficial because of its effectiveness in increasing the level of your salary. With the help of your security management certification, you will have an easier time getting the position of a security manager which offers an average annual salary of $80,000. You can also work as a personnel security administrator which gives you the opportunity to enjoy around $84,000 to $114,000 annually.